Formerly a guitarist, Steve Power's career in the music business began in LIverpool's Pink studios working on the demos of bands like Frankie goes to Hollywood, Dead or Alive, Black and The Lotus Eaters. Subsequently he moved to London to work at Battery studios recording artists such as Billy Ocean, Womack and Womack and Bon Jovi while gaining experience from working with producers like Mutt Lange and Bob Rock. At Battery he mixed songs like Black's Wonderful Life, Dexy's Midnight Runners' theme for Brush Strokes, Because Of You, Sunshine Playroom and Sunspots singles for Julian Cope. and also produced and mixed Rough Trade artists James and A House. A career milestone was reached with the release of Babylon Zoo's Spaceman. which almost immediately took the Number 1 spot in 23 different countries and became the then fastest selling debut single of all time by selling 418,000 copies during the first week of release. In 1996 Steve produced and mixed the platinum single, You're Gorgeous and most of the album, Ugly Beautiful, by Babybird. His other hits from the same album included Goodnight and Candy Girl. Steve and Guy Chambers co-produced Robbie Williams first album Life Thru A Lens featuring hit single releases Let Me Entertain You, Old before I die, Lazy Days and (double platinum) Angels. Life Thru a lens sold over 3 million copies in Europe alone. Steve also did additional production and mixed Feeder's singles High and Suffocate. Both reached the top twenty. More importantly the band achieved the important breakthrough into radio play that they were looking for. Robbie's second album I've Been Expecting You (9x platinum) contained four top ten singles (Strong, Millennium, Win Some Lose Some and She's the One), two of them - Millennium and She's The One - reaching Number 1. Steve and Guy were voted Producer of the Year at the International Managers Forum awards. Steve's Productions included tracks for Another Yesterday by Feeder, No Ordinary World (Joe Cocker) and It Goes Without Saying for The Dum Dums. Singles included Paperfaces by Feeder and Different Roads, which was in the top ten most played records in Europe for months by Joe Cocker. Steve and Guy produced Robbie Williams' Sing When You're Winning album debuted at number-one and being certified 2x platinum on the first week of release.The album spent 91 weeks inside the UK Charts, being certified 8x platinum by the BPI. The album became the best selling album of 2000 in the country and the 51st best selling album in UK music history. It went on to sell over 6 million copies worldwide. Singles lifted from this album - Let love be your energy, Rock DJ, Supreme, and Kids (with Kylie Minogue). Eternity (Robbie Williams) also topped the charts; there was a Christmas Number 1, Something Stupid, a Robbie Williams / Nicole Kidman duet recorded at Capitol Studios, Hollywood, and another Robbie collaboration, We are the Champions, this time with Queen. Produced and mixed the number one album Escapology for Robbie Wiliams and from which the single Feel went to Number 1. Other singles included Come Undone which Steve produced without Guy as well as several other tracks for the album. Followed up by Something Beautiful and Sexed up. Produced and mixed (also co-wrote two of the tracks) 12 tracks for Busted's, A Present for Everyone album. Released on 17 November 2003 and debuted at Number 2 on the chart it became a triple platinum album with sales of over one million. Crashed the Wedding was a Number 1 single. Air Hostess reached Number 2. More Number 1 singles for Busted... Who's David? and the 2004 ITV Record of the Year, Thunderbirds Are Go. Production work on several tracks for the Delta Goodrem album Mistaken Identity, the release of Robbie's Greatest Hits (Album number 1) (which included 17 of Steve's tracks) and work on a single for Andrea Bocelli recorded at Andrea's house near Pisa. Also produced and mixed all the titles for the David Charvet album Se laisser quelque chose for Mercury France. Produced and mixed tracks for the McFly albums, Wonderland and Motion in the Ocean, including the Christmas hit single, Ultraviolet. Tracks were also released on three greatest hits albums namely: for Joe Cocker (Gold), Feeder (The Singles) and Electronic (Get the Message). Also carried out addition production and mix on the Lady Sovereign vs The Ordinary Boys hit single 9 to 5. Personal highlights during this time include producing and mixing Stephen Duffy and the Lilac Time’s Runout Groove as well as all four singles and other tracks on Brit nominated Beth Rowley’s Little Dreamer. Steve also worked with Dragonette on the Galore album for Mercury. Julian Velard landed in London from Brooklyn, NYC and his album, The Planeteer, was the eventual outcome of the long and convoluted path that followed. Another enjoyable project in 2009 the Manchester band, Kid British doing additional production and mixing on It Was This Or Football including the hit single Our House Is Dadless. 2010 was a busy year which started very pleasurably with mixing duties for Brazilian superstar, Sandy’s Manuscrito album; finishing tracks for Mercury signed Wonderland on their eponymously titled debut album Sony Switzerland called leading to mixing work on Myron’s Never Regret album and QL and the Pepe Lienhard Horns’ I Liebe Di single. During the same period, Steve also found time to write, produce and mix Dutch artist, Hind’s Crosspop album. 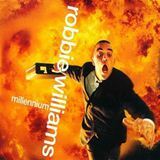 In October Robbie William’s greatest hits album In and Out of Consciousness was released with numerous titles for which Steve has production and mixing credits. 2011 releases include another Julian Velard album, Mr Saturday Night, for which Steve produced and mixed the lead single, Love Again for The First Time and mixed the rest of the album. Steve did some production and mix work on the critically acclaimed British Sea Power album, Valhalla Dancehall. Steve mixed the live album for the Take That Progress 2011 tour and he is currently working on a new project with Robbie Williams. the album Crosspop by Hind Laroussi and albums by Julian Velard (Mr Saturday night), British Sea Power, and Wonderland. Most recently, more work with Robbie Williams and Take That. Also Steve has writing and production credits for songs in the Kevin Sampson movie Powder which premiered in Liverpool in May 2011 and is due for general release in the Autumn.